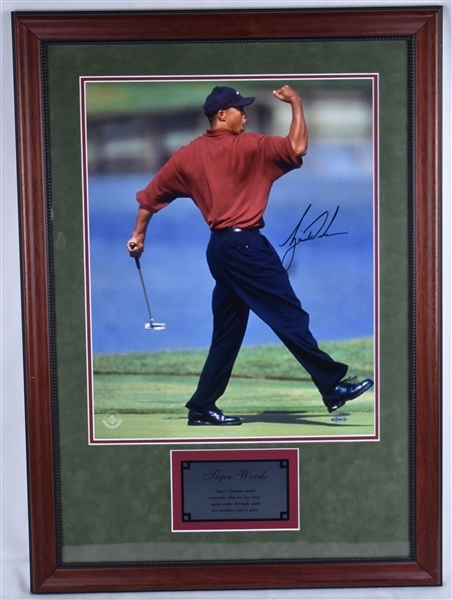 This lot features a Tiger Woods autographed and framed "Fist Pump" 16x20 photo. 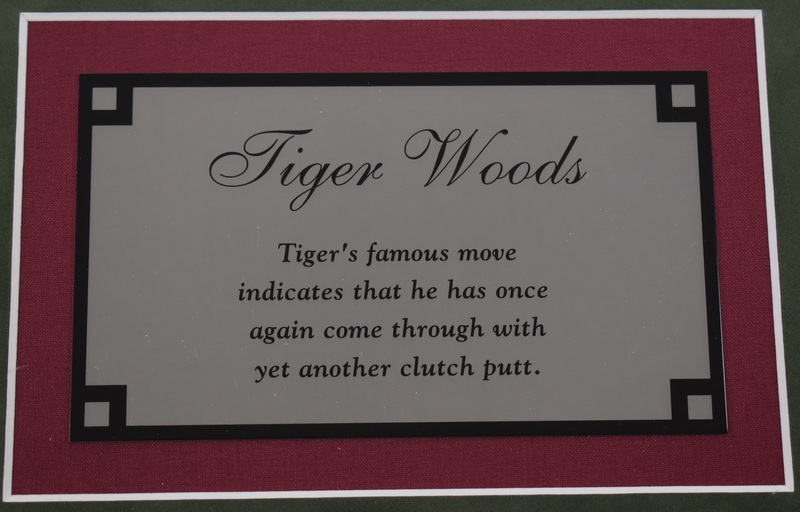 You've watched Tiger Woods' incredible achievements on the golf course - from his dominating victories to his unforgettable shots. Now you can relive those great moments again and again with his classic signed photograph of Tiger performing his trademark fist-pump on the green. The 16x20 framed photo is marked by brilliant colors and his signature stands out beautifully over the water in the background. 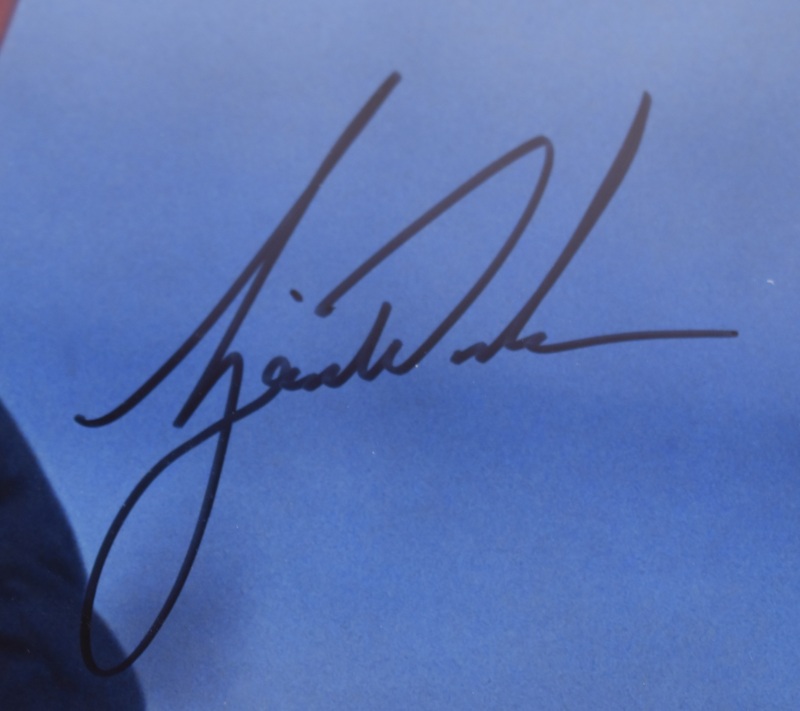 Tiger's signature is guaranteed authentic through Upper Deck Authenticated's five-step process. 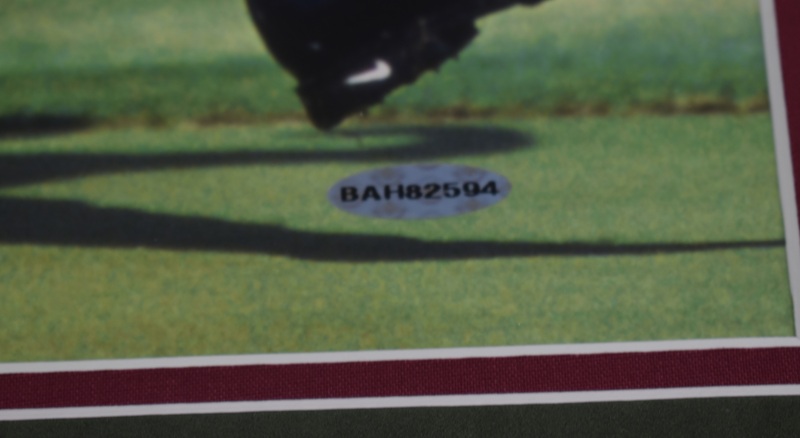 Upper Deck Authentication hologram.